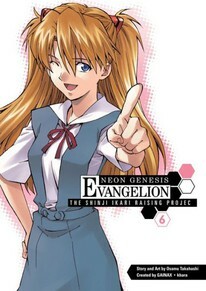 Shinji is never quite sure whether he's in a relationship or just some sort of bizarre lab experiment, and he probably didn't need yet another cute, mysterious individual to arrive in his homeroom. But that's just what he's going to get in the person of Mana Kirishima. Will she prove to be a girlfriend of steel... or more of an iron maiden?